When you’re in need of garage doors, openers and repair in Curtice, Ohio, and Ottawa County, Quality Overhead Door delivers with high-quality products, experienced technicians and a deep desire to see you fully satisfied. Since 1982, we’ve been serving communities throughout northwest Ohio and southeast Michigan. In these three-plus decades, we’re proud to have earned recognition including the Angie’s List Super Service Award and an A+ rating from the Better Business Bureau. In each customer engagement, we strive to live up to this legacy of service excellence by going above and beyond in pursuit of your satisfaction. We work with both home and business owners, providing quality products and dependable services. 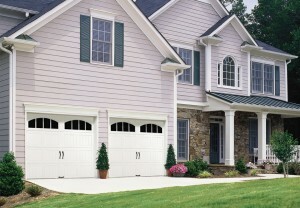 We offer garage doors from top brands, because this helps ensure you enjoy the performance you desire. Our selection of garage doors is made available through respected names such as Clopay, Raynor, CHI, Wayne Dalton and others. Find garage door openers from LiftMaster, Moore-O-Matic, Challenger, Allister, Genie, Sears, Chamberlain and more. For your business or warehouse, we can deliver loading docks, rolling steel doors, coiling doors, mega doors, sectional doors, strip doors and more. Just as with our residential products, we focus on delivering quality products made by top brands, as well as expert installation and repair delivered by our team of licensed technicians. We only send our own full-time employees to work in your home or business in the Curtice, Ohio, area. We don’t send contractors, because our team of full-time technicians possesses the necessary experience and knowledge to deliver exceptional service. Not only do these service professionals install high-quality garage doors and openers from top brands, they can also service garage doors and openers of any make and model. Family owned and operated since 1982, Quality Overhead Door places an emphasis on personalized service and attention to detail. While we’ve grown a great deal since we first opened our doors, we still take time to get to know our customers so we may provide custom solutions. If you need overhead door assistance for your home or business in Curtice and throughout Ottawa County, Quality Overhead Door can offer responsive, reliable, trustworthy guidance and support. 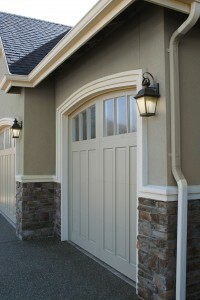 Contact us today for garage door installation or repair at your Curtice, Ohio, home or business.